I don’t normally rush out to buy the Giller Prize winner. I’m regrettably not a big follower of recent Canadian literature. In fact, during the past year I’ve had little time to read fiction more generally. However, when a small press won the prize for the first time and the interviews with the author suggested the book might be very compelling, I downloaded a copy of Johanna Skibsrud’s The Sentimentalists. ActiveHistory.ca is not really the place for fiction reviews and I’ve got few credentials as a literary reviewer, but as a historian, I found the book fascinating. The Sentimentalists explores the reverberations of traumatic historical events through the experiences of the children born in the aftermath. The history of war and memory has been a popular historical topic for decades, but as a novelist, Skibsrud has the ability to explore the tensions between a father, who fought in the Vietnam war, and a daughter who grew up with a disengaged alcoholic father, in a way that historians can not. I don’t want to explain this too much, as much of the brilliance of the book is the way the reader struggles understands events through the daughter’s eyes through the silences and lack of understanding about the War, that she still somehow knows created the man who could not be a reliable father or husband. Having grown up in a family where my parents and grandparents grew up in similar homes, where the War was a largely unspoken presence in shaping two generations of fathers (albeit with significantly more functional veterans), the book resonated deeply. I think the book might help historians think about they ways events can ripple through time and how families create memories out of unspeakable pasts. As an environmental historian, the setting of the book in the fictional town Casablanca, Ontario, which was moved by the St. Lawrence Seaway, is equally fascinating. 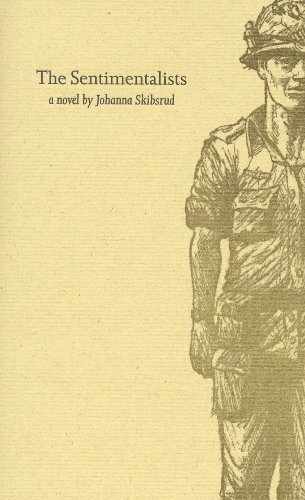 By setting much of the novel in this space, Skibsrud links the unspoken losses of war with the disruption to communities and families caused by the forced evacuation of towns along the St. Lawrence. This brings to mind Joy Parr’s website on Iroquois Ontario that records the memories of people who were forced to move by the seaway. I imagine a lot of the readers of The Sentimentalists will enjoy exploring the oral histories, maps and photographs include in Parr’s website to better understand the loss of community, landscape, and spatially associated memories explored in this book. This sounds like an interesting read, thank you for sharing. As an historian, it’s very difficult to delve into the realm of trauma and memory, and the repercussions of traumatic experience(s) among those that surround us (or are linked to us in one way or another). A lot of scholarship is out there, dealing with war and memory (as you said), but fails to recognize memory on the individual level. We tend to forget that the societies we study consisted of individuals having lived real experiences (whether it be war, trauma, illness, social unrest etc.) There is a lot of talk of nation-building and national identity (see H.V. Nelles, Jonathan Vance) and we (historians) tend to generalize (sometimes) collective memory/memories as a homogeneous experience. I like that you brought up Joy Parr’s website because a lot of recent work on oral history, place, maps, landscapes, and space seem to discuss memory as individual cognitive experiences, rather than as a shared collective memory. This novel is fiction but it serves as a perfect reminder of the concept of “post-memory,” dubbed by Marianne Hirsch. For those who are interested, Hirsch looks at second-generation Holocaust survivors and their relationship to an experience they never lived, but must come to terms with within family photo albums. Thanks Kaleigh. It does sound like Hirsch’s concept of “post-memory” is more or less the theme of Skibsrud’s book. Thanks for pointing me to the reference.